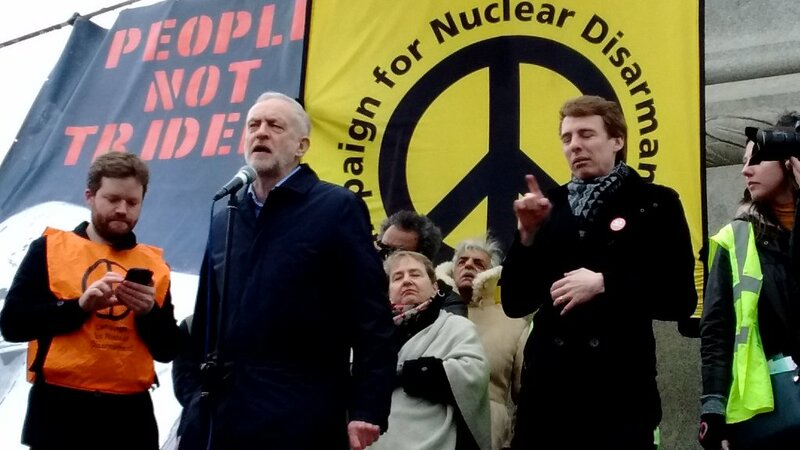 Thousands have turned our for an anti-Trident rally in London, dwarfing expectations. The Guardian described it as 'Britain's biggest anti-nuclear march in a generation'. SNP leader Nicola Sturgeon and Plaid Cymru leader Leanne Woods have both made appearances at the event, with Sturgeon describing the renewal of Tridents as "immoral". Parliament is to vote on renewing Trident later this year. The MoD has suggested this will cost £31bn, with £10bn put aside for unforeseen costs, over the next twenty years. However, those opposing the renewal of nuclear weapons have put that figure much higher. Jeremy Corbyn's public support for scrapping tridents has led to splits within his party, and cabinet. he was also recently criticised by trade union GMB for his position, which they say will lead to job losses.